Windward Islands Volcanoes have earned the right to meet Barbados Pride in the final of the 2018 Super50 competition following the second semi-final on Thursday at the Coolidge Cricket Ground in Antigua. 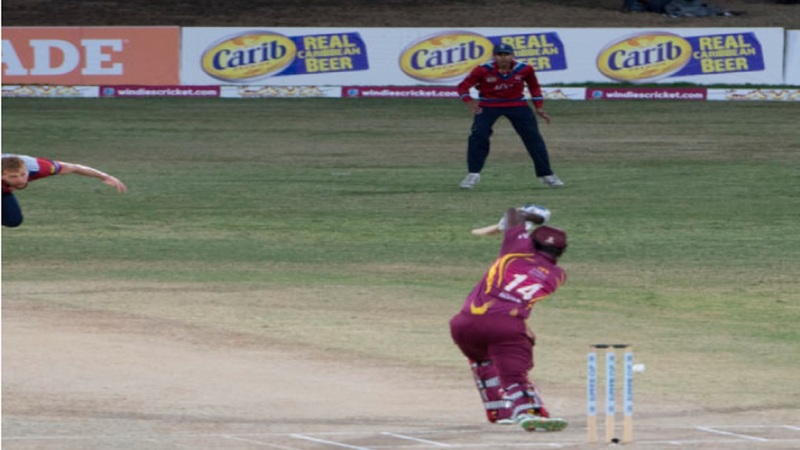 The Volcanoes beat favourites Guyana Jaguars by 52 runs via the Duckworth Lewis method. 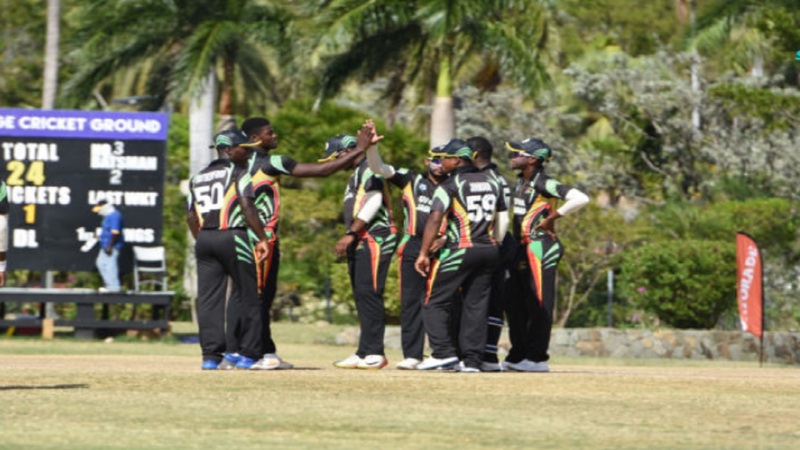 Sent in to bat, Windward Islands Volcanoes posted 286 for seven from their 50 overs and then bowled out Guyana Jaguars for 231 off 44.2 overs. Tyron Theophile led the way for Volcanoes with 107 from 104 balls. Johnson Charles was the first Windward batsman to fall, he made eigh when he chucked a Romario Shepherd delivery onto his stumps. Devon Smith and Theophile then went about rebuilding the Volcanoes innings. After 25 runs together, Smith was brilliantly caught by Shivnarine Chanderpaul for 25. Kirk Edwards and Theophile combined for a solid 73-run partnership which steadied the Volcanoes after the two early wickets. Edwards then fell for 27. No panic was shown from the Volcanoes batsmen as Theophile was joined by Kavem Hodge and both batsmen relished the situation before them. They matched each other stroke for stroke and combined for an unbeaten partnership of 107. Theophile getting 55 of them; while Hodge accounted for 51. Theophile fell soon after, bowled by Chanderpaul Hemraj shortly after reaching his century. Hodge went a few deliveries later. Kyle Myers and captain Shane Shillingford ended the Volcanoes innings on 18 and 16 not out respectively. 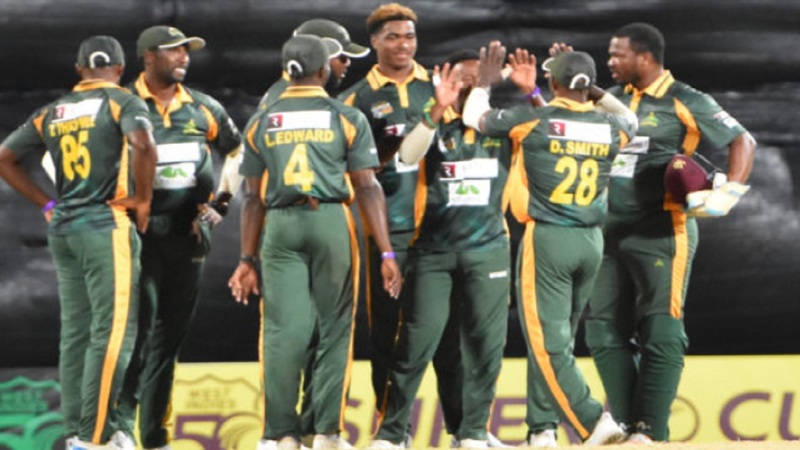 Bowling for Guyana Jaguars, Ramaal Lewis had the best figures, with three for 54 from nine overs. Chanderpaul Hemraj and Tagenarine Chanderpaul opened the batting for Guyana, but Hemraj fell for four to Ryan John. Then came a partnership rarely seen in sports, the father son duo of Shivnarine Chanderpaul and Tagenarine Chanderpaul manned the creases for Guyana. In what seemed like a comfortable partnership, Tagenarine lost his wicket in the most bizarre fashion. His father struck the delivery straight back, which ricocheted off the bowler onto the non-striker’s stumps, thereby running out Tagenarine. Seeming to make amends for the dismissal of his son, Shivnarine then went on a run spree much to the delight of the Jaguars supporters. He became the first of Hodge’s three wickets, as he was caught for 34 from 38 deliveries. Leon Johnson once again found it difficult to add to his run-tally, as Hodge had him caught and bowled for four. Christopher Barnwell and Anthony Bramble had a good partnership going. They shared 39 runs together but the rain came and after the resumption, both men fell six runs apart. Barnwell for 25 and Bramble for 27. The unlikely partnership of the Jaguars innings came between Sherfane Rutherford and Verasammy Permaul, as the tailenders batted valiantly to try and achieve the remaining spot in the final. This pair put on 71 before Permaul was brilliantly caught by Hodge for 37 off Obid McCoy. Rutherford was left frustrated as he was cheekily runout by Mc Coy who kicked the ball onto the stumps, leaving Rutherford stranded on 49. 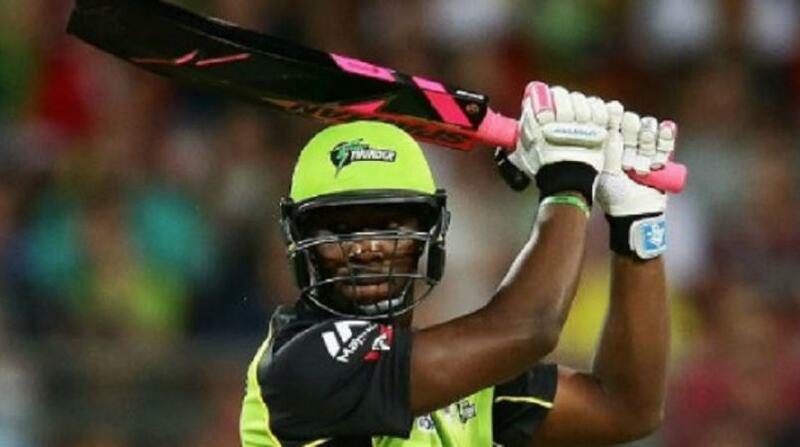 Ramaal Lewis struck 17 not out, but the writing was already on the wall as the Guyana Jaguars innings finished well short of the revised Duckworth Lewis target of 284 from 47 overs. Hodge took three for 49 from 10 overs and received the Man of the Match award. The final will take place on Saturday at the same venue.